Thanks to film tax credits, Louisiana has been called "Hollywood South" for some time. Now, these credits will be used to tell a story that hits close to home. The feature-length film "Roe v. Wade" is scheduled for production in Louisiana featuring actors such as Jon Voight, Stephen Baldwin, and Stacey Dash. Producer Nick Loeb told LifeNews.com that the film will be "the untold story of how (abortion activists) lied and manipulated Jane Roe, the media, and the courts into the decision to allow abortion in 1973." Louisiana knows this story well because the late Jane Roe, or known by her real name of Norma McCorvey, is from Avoyelles Parish. Production on the film begins in the Baton Rouge area in June. We look forward to hearing from Nick Loeb tonight at Bowties for Babies ( tickets are still available) about how this film will share the truth about the calculated effort to legalize abortion-on-demand in America. P.S. There is a pro-life party slated for this Saturday in Lafayette! 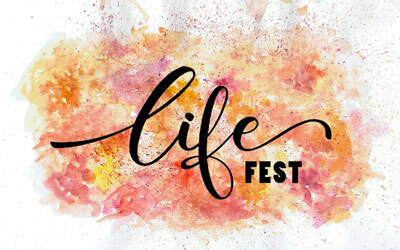 Sign-up for the Acadiana Life Fest 5K today, or just show up for the Life Fest party! 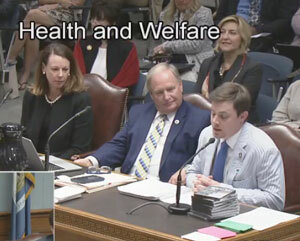 House Bill 449, the "Adoption Option Act," LARTL's signature piece of legislation for 2018, was unanimously moved out of the Health and Welfare Committee on April 4. The bill's author, Rep. Rick Edmonds, and I lived on Parker Avenue's David Scotton testified before the committee. Three other pro-life bills, each which clarifies language in previous bills in hopes of getting them out of federal court, also advanced out of committee. The first Acadiana Life Fest is this Saturday at Parc International in Lafayette. If you are in the area, please make plans to attend and celebrate the Joie De Vivre ! This pro-life, family-friendly celebration will include live music, food, booths, activities for children and a 5K run/walk. 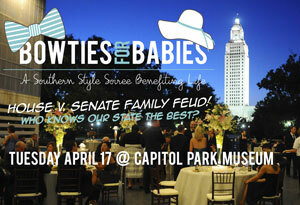 Bowties for Babies: A Southern Style Soiree Benefiting Life, is tonight in Baton Rouge, and there is still time to buy tickets! The fund-raiser will feature the first House vs. Senate Family Feud, and actor/producer Nick Loeb will make a special appearance to discuss the new movie Roe v. Wade . The 2018 Leadership for Life Award winner, A. Hays Town, will be honored. There will also be dinner, music, a silent auction, and a live painting by Stephanie Torregrossa. Register Now or Find Out More! 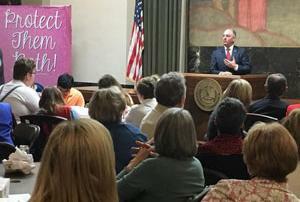 Pro-lifers from around the state went to Baton Rouge on April 4 for Pro-Life Day at the Capitol. Pro-life bills were advanced from the House Health and Welfare Committee, and attendees were treated to a private lunch to discuss pro-life issues and hear from Gov. John Bel Edwards. Agencies set up displays in the Rotunda, and a birthday cake was served. The group was also recognized on the floor of the House. Thanks to you, last year’s inaugural Poo-Dat Diaper Drive for families in need was a huge success, with more than 13,000 diapers donated. It’s almost that time again. Can you help us increase that number this year? The second annual Poo-Dat Diaper Drive is set for April 25 through May 1, and it’s easy to participate. We’ve added several new collection sites, including one in Baton Rouge. The 2018 PULSE Leadership Institute,June 18-22, will be an exciting week for high school and college students to dive into the pro-life cause. Sessions go beyond abortion into adoption, euthanasia, physician assisted suicide, human trafficking awareness, bioethics, third party reproduction, disability discrimination, and more! There's pro-life activism and field trips as well! 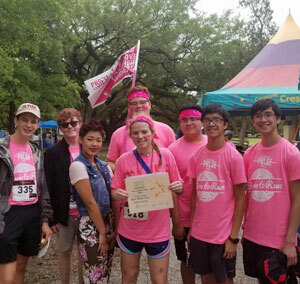 Congratulations to the New Orleans PULSE Team for winning "Most Spirited Team" at the Woman's New Life Center's recent Born to Run fund-raising event. 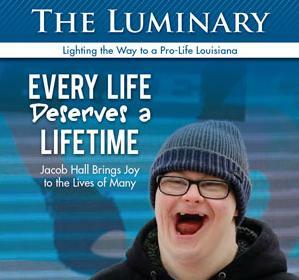 Check out the Spring 2018 edition of The Luminary, featuring a special story on Jacob Hall, a review of the Louisiana Life Marches, and more!